Originally just a detail on the edge of a beautiful painting, albeit a famous one, the little angels from Raffael’s “Sistine Madonna” began an international career of their own in the early 19th century which has taken them around the world and onto products ranging from porcelain to chocolate wrappers. Like 15th to 17th century Dutch and Flemish masterpieces, the vistas of Bernardo Bellotto aka Canaletto, the world’s largest collection of works from the Cranach workshop, or other important works of the Italian Renaissance, the “Sistine Madonna” is part of the Old Masters Picture Gallery, one of 13 museums that form the Dresden State Art Collections. The New Green Vault, part of one of the richest treasuries in Europe, presents outstanding pieces of art in a contemporary set-up. While the “Court of the Great Mogul Aurangzeb” receives visitors willingly and the “Dresden Green Diamond” from India can be admired by everyone during opening hours, the Historical Green Vault, the other half of the museum, allows only a limited number of visitors at a time due to the fact that the pieces of art are freestanding and are just an element of the beautifully-decorated rooms. Dresden owes the largest and highest quality special collection of ceramics in the world to the self-confessed addiction of Augustus the Strong to porcelain. It was also him who promoted and enabled the invention of the European hard porcelain in Dresden in 1708, today known as Meissen Porcelain or Dresden China. 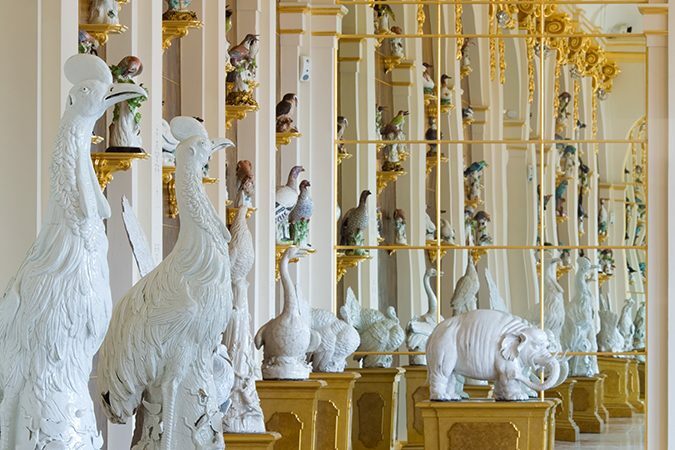 Thus, the Porcelain Collection of the Dresden State Art Collections shows masterpieces of porcelain from China and Japan and illustrates the development of Meissen Porcelain from its invention to the late 18th century. The Armory Museum of Dresden is one of the best of its kind in the world. 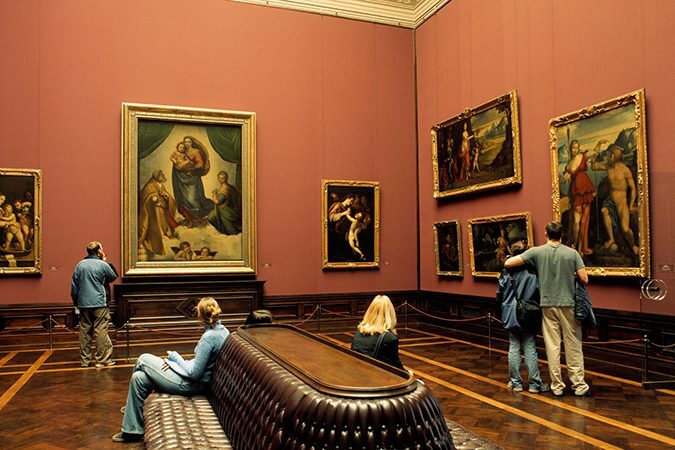 Part of it is the Turkish Chamber, one of the most important collections of Ottoman art outside of Turkey. 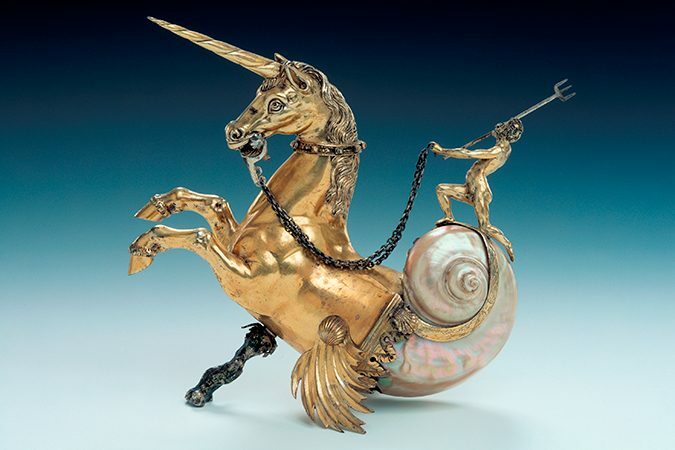 The Saxon rulers gathered legendary treasures between the 16th and 19th century. Augustus the Strong often dressed like a sultan, had a Turkish mistress and sent his adjutant Johann Georg Spiegel on exotic shopping sprees to Istanbul. 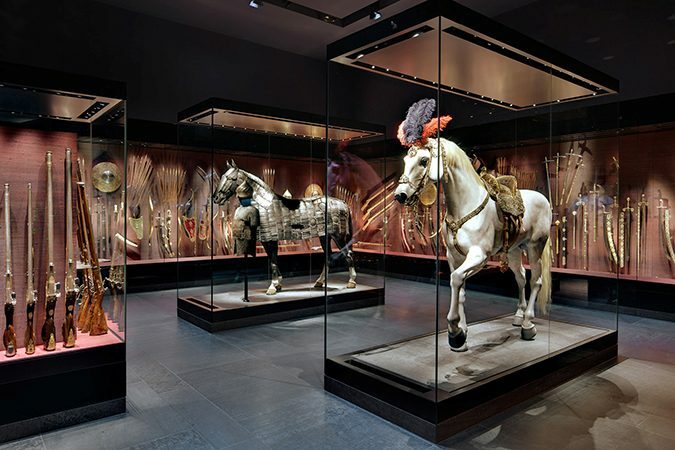 Highlights include a walk-in three-masted tent made of gold and silk, eight life-sized wooden horses with lavish riding clothes, and a large collection of ceremonial weapons. After gathering together nearly 2,500 works of Classic Modernism, art dealer Alfred Gunzenhauser wanted a worthy presentation of his collection. The city of Chemnitz, itself owing significant works from the same period, offered the collector his own museum. A bank building from the 1920s, transformed for this new purpose with the least possible alteration to its architectural structure, serves as the perfect stage. An entire floor is dedicated to Otto Dix, making the Museum Gunzenhauser’s collection of his works the biggest in the world. 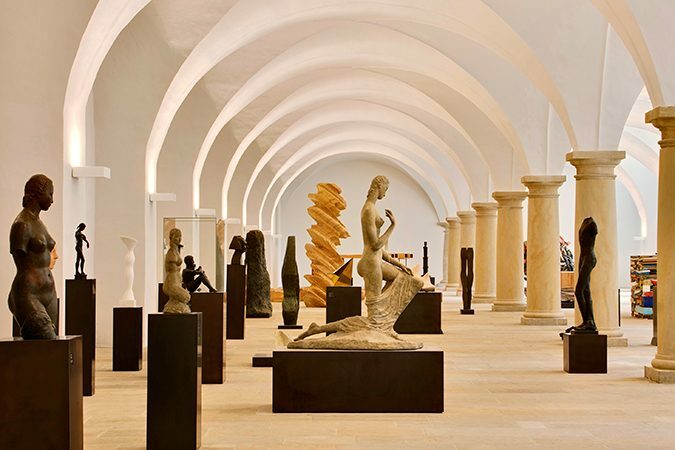 When Dresden was flooded in 2002, the Dresden State Art Collections took a bold decision: The Albertinum, which had been scheduled to house the New Masters Picture Gallery and the Sculpture Collection, was to receive a spectacular hanging depot. Thus, the former courtyard has gained a roof and become a spacious event location. The collection ranges from the Romantic period to contemporary installation art, with some rooms dedicated exclusively to famous Saxon-born contemporary artists like Gerhard Richter.